Daniel Radcliffe might benefit from one of Hogwarts' energy potions right now. Although the actor prefers not to bring up the Harry Potter references if he can help it. His frantic attempts to rebuild a career after Harry have brought him to the brink of exhaustion. 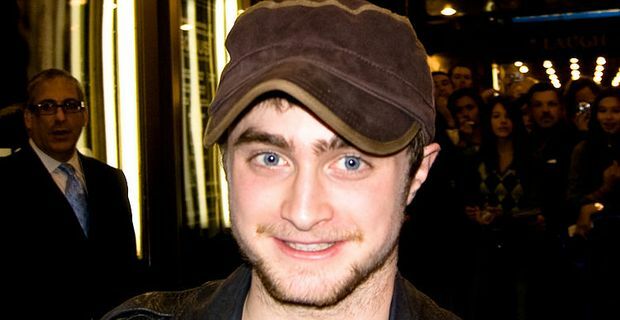 Radcliffe has been performing in the West End in The Cripple of Inishnaan, and admits it has left him drained. "I do need a break," he told the Star. "Doing Cripple was amazing but the last month was slightly exhausting. I’ve got three weeks off in October and I’m going to bum around New York and see some shows. I need to get some proper down time, I do need time off but the truth is I’m a workaholic." Persistent rumours suggest that Radcliffe is the producers' choice to replace Sacha Baron-Cohen in the central role in the sanitised Freddie Mercury biopic. It's difficult to see a more unlikely piece of casting than the clean-cut Hogwarts alumnus portraying a louche rock frontman, but perhaps the remaining members of Queen want to stress the polite public-schoolboy side of Mercury's personality. An insider told the Star that Radcliffe had impressed the producers with his portrayal of the gay poet Allen Ginsberg in Kill Your Darlings. "Plus, he’s closer in height to Freddie than Sacha, who’s much taller. Daniel can really sing, too." Plus he would bring a few extra resonances to 'It's a Kinda Magic', presumably. Although there are better casting choices (Russell Brand, Luis Suarez, Noel Fielding, Robin Van Persie, Ben Stiller or Alan Carr, off the top of our heads), the Mercury role would offer Radcliffe another chance to shake off the boy wizard. "I’m glad to be slowly but surely leaving my Harry Potter days behind," he said, optimistically. "It’s a long process but I’m getting there."